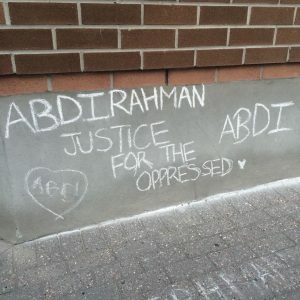 Abdirahman Abdi was a 37-year-old Somali-Canadian with mental health issues. He lived in Ottawa’s Hintonburg community at 55 Hilda Street. 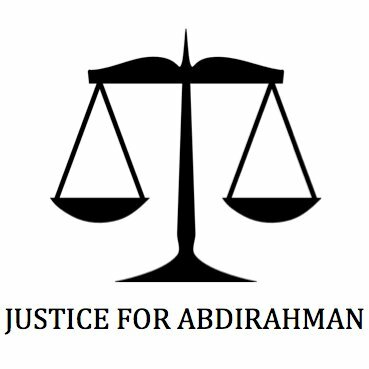 Abdirahman died on July 24th 2016 during a violent altercation with Ottawa Police Service officers. Mr. Abdi had no criminal history, and there are no indications he posed a threat to the lives or safety of the officers at whose hands he died. 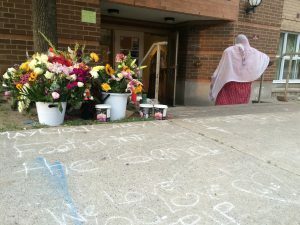 The Special Investigations Unit (SIU), an agency of the Ministry of the Attorney General, took on the investigation within hours of the incident. However, the SIU has yet to release a judgment on the case. 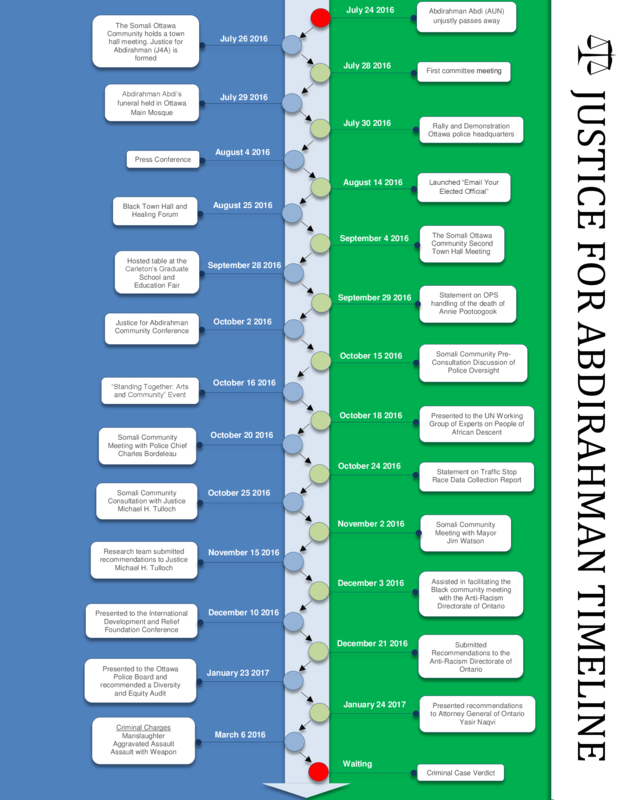 The Justice for Abdirahman (JFA) Coalition (“the Coalition”) is a group formed within days of Mr. Abdi’s death following a Somali-community town hall that took place on July 26, 2016. The Coalition is based in Ottawa and supported by local and national advocacy groups. The core group that forms the Coalition consists of a multigenerational team of individuals with professional backgrounds in policy and program management, education, mental health, public relations, criminal justice, community development and corporate governance. 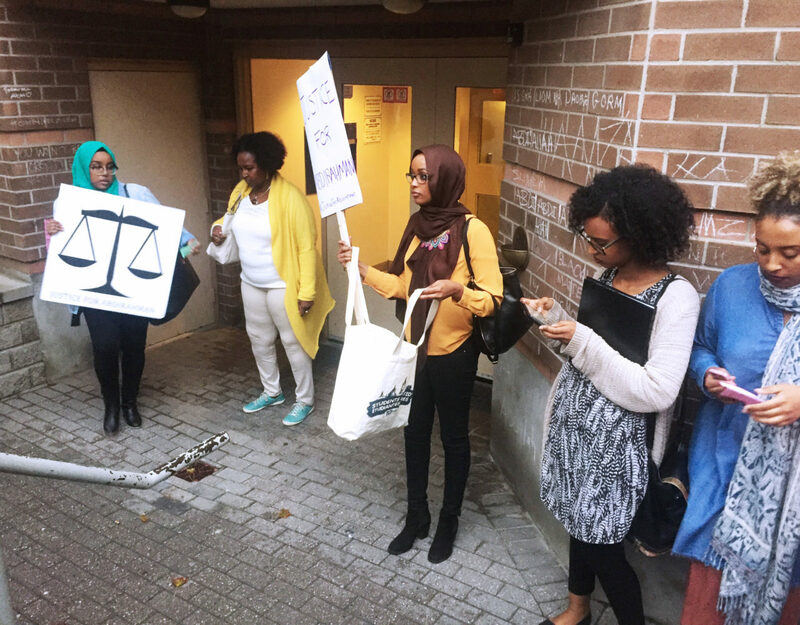 The Coalition’s objectives are to obtain greater transparency, challenge racial inequity, increase support for mental health needs and bring positive change to our law enforcement institutions in order to secure justice for the late Mr. Abdi and his family. We assert that fairness, transparency and accountability in our law enforcement institutions are critical to ensuring all of our safety and security. The Coalition’s work is not just about the death of Mr. Abdi. If it was, his death would be in vain. The work is about restoring dignity and faith in our law enforcement and the various institutions that we – as taxpayers and citizens – help fund. But most importantly, the Coalition is about humanity. 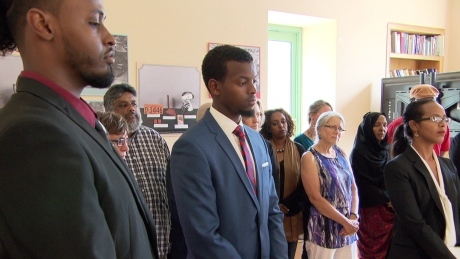 Since the inception of the Coalition after Mr. Abdi’s death in July, we have been very active in the city of Ottawa. 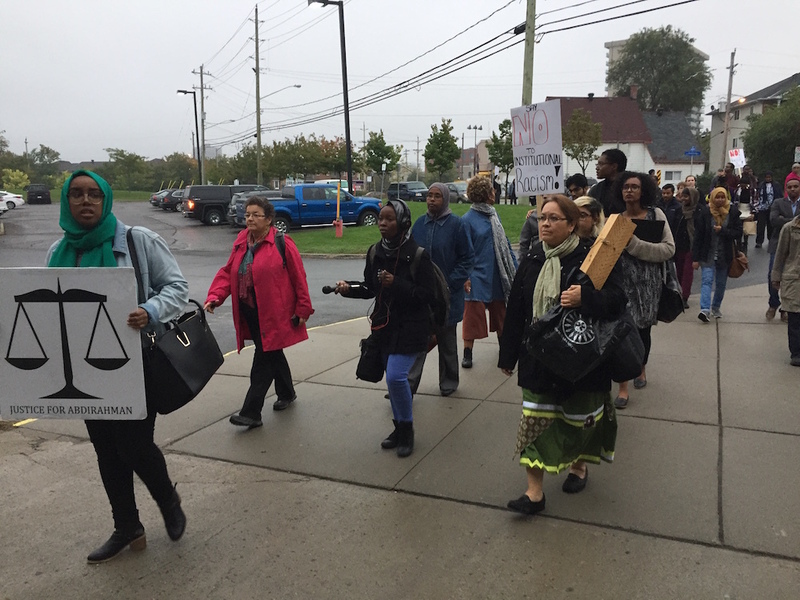 The Coalition and its members have spoken and participated at various community advocacy events and functions addressing racism, policing and mental health awareness. The attached infographic provides a chronological visual of some key highlights to date. Since Mr. Abdi’s death, we have been working towards our objectives by actively discussing and engaging with many stakeholders and levels of government. In addition to our work and objectives related to community engagement and awareness – for example, as demonstrated in our Arts and Healing Event and Community Conference in the Fall of 2016) – we have been actively working on key areas of action such as media, political advocacy, policy and legislative reform. The Coalition’s first task following Mr. Abdi’s death was to support funeral arrangements by managing media and logistics on the ground. As there was intense interest from the media and the public concerning the circumstances surrounding Mr. Abdi’s death, we held a national press conference on August 4, 2016 in order to streamline media questions and provide a platform for public awareness on the issue. Ever since, the Coalition has been vocal and have issued public statements on various related matters such as the racist comments by an Ottawa Police Service (OPS) Officer on the death of Annie Pootoogook’s, our condemnation of hate directed at members of the Jewish community in Ottawa as well as a response to Premier Kathleen Wynne’s support for the public release of the SIU report into the death of Mr. Abdi. Along with our written media statements, the Coalition has been active in print, radio and web news reports. Our media team have been invited to speak on various live radio and television interviews such as with CBC News, CTV, Ottawa Citizen, among others. Immediately following Mr. Abdi’s death, the Coalition met with Charles Bordeleau, the OPS’ Chief of Police. On August 30, 2016, we provided set of issues and related recommendations concerning the relationship between the OPS and racialized communities, particularly with the Somali community. The Coalition is pleased to see positive movement on some of the recommendations that we have put forward. For example, the OPS reversed an earlier decision on body cameras and will in fact begin implementing a pilot project using the technology in Ottawa. As well, in subsequent meetings, we were brought in and consulted on early drafts of operations planning. Despite these positive developments, we are aware that more work is ahead of us. In particular, we are paying close attention to the OPS’ planning with focus on any work and efforts regarding support for mental health as well as action plans on engaging with key stakeholders. Additionally, in late January of 2017, the Coalition presented to the Ottawa Police Service Board. In the presentation, we called for an independent third party audit of the OPS’ diversity and equity practices. While the Chief of Police committed to an internal audit, we are hopeful that there will be room for further discussions that might see this come to fruition. As means to engage and empower local citizens, one of the Coalition’s first actions was to launch an email campaign called “Email your Elected Officials”. As a result of this effort, over a 1,000 emails have been sent by voters to their ele cted municipal representatives, including the Mayor. The email campaign was also targeted at Ottawa area MPPs and MPs as well as the Premier of Ontario. Concerning the Mayor, we were pleased that he convened all city managers and officials to meet with us. Since this meeting, we have been able to open a conversation and potential areas of action on key issues such as mental health, employment and criminal justice. We are currently working formalize a Terms of Reference for this working group as well as establish concrete actions going forward. Other examples of our work to date include meetings and consultations with the Honourable Justice Michael H. Tulloch and his independent Police Oversight Review Team. Upon the request of Justice Tulloch, we took coordinated a focused discussion with the Somali community and supported a wider discussion with the diverse Black community. In addition to these in person meetings, we provided a written submission with concrete recommendations for consideration. Further when Michael Coteau, Minister of Children and Youth Services arrived in Ottawa in December of 2016 as part of the Government of Ontario’s Anti-Racism Directorate province wide tour to discuss systemic racism and discrimination, we held a private meeting with him to discuss our issues and explore areas of future collaboration. The Coalition also attended the community consultation and provided a formal submission to the Anti-Racism Directorate. In late January of 2017, we met with the Attorney General of Ontario to table our concerns and proposed some reform options for the Police Services Act for consideration. Specifically, we focused our discussions on issues related to the SIU and Regulation 58/16, (Collection of Identifying Information in Certain Circumstance – Prohibitions and Duties (Street Checks)). Our proposal was well received and is being considered by the Attorney General and his legal team. Concerning the SIU, we tabled our concerns about the delay in decision and the mitigations in place to respond to the report when it is released. As for Regulation 58/16, we expressed our concerns regarding the lack of longevity and sustainability in this regulation and proposed legislative amendments to ensure longevity. On February 6, 2017, several leaders from the Black community across Canada joined forces to open dialogue with Parliamentarians about anti-Black racism in Canada in a national day of action. Members of the Coalition team participated as a lobbyist on this day. Meetings with 61 MPs took place in an 8-hour period. In addition to the main call to action regarding recognizing the United Nations’ (UN) declaration of the International Decade for People of African Descent, many conversations were had with Parliamentarians on the case of Mr. Abdi. MPs were asked to amplify concerns at federal tables where possible. The Coalition is now planning follow up meetings with MPs in March of 2017. In all of our discussions with officials, we made it a point to not only share our concerns, but in each case, we have provided concrete ideas for action. 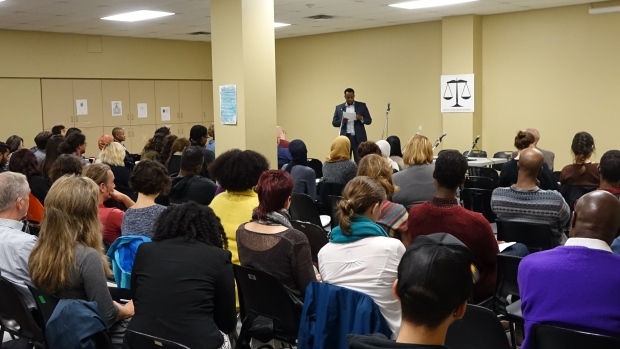 On January 28, 2017, Black History Ottawa hosted the annual Black History Month launch. Surrounded by allies and supporters, the Coalition was honored to accept the Black History Month Ottawa Community Builder Award. The Coalition has been nominated for the J.S. Woodsworth Award for human rights and equity presented annually by the Ontario New Democratic Party (NDP). The award ceremony will be held on Sunday March 26th, 2017 in Toronto.